Where do I find my Facebook pixel ID? 4. Go to Pixel's Settings inside Refrla & click the button Add new pixels. 5. 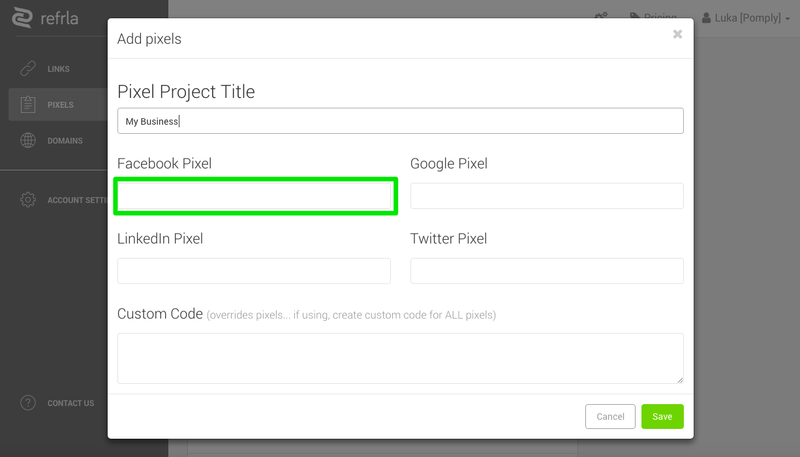 Paste your Facebook Pixel ID into the Facebook Pixel field.